“Be the thing, not the thing that sells the thing.” This is a pearl of wisdom from Andrew Essex’s book, The End of Advertising, which is optimistic about the change in the advertising landscape (despite the title). Issues like ad blocking technology and annoyed consumers are challenging marketers to be interesting and authentic in order to reach and engage their audiences. Consultancies are here to stay as a part of the marketing landscape. Four consultancies now rank among the world’s biggest agency companies and their digital marketing units are winning business that brands would previously have awarded to holding company agencies. Those agencies should definitely be worried, but the consultancies aren’t to blame. The transformation of the marketing landscape is a product of the required integration between marketing and business data in order for brands to acquire and engage customers. Consultancies are valuable, but the value in their ideas and creative strategies isn’t realized until the media agencies execute them. Creating and delivering media campaigns still remains the domain of leading media agencies. Data is great. AI is really great. But everything can’t be left to automation. It can get it right, but it can also get it very, very wrong. 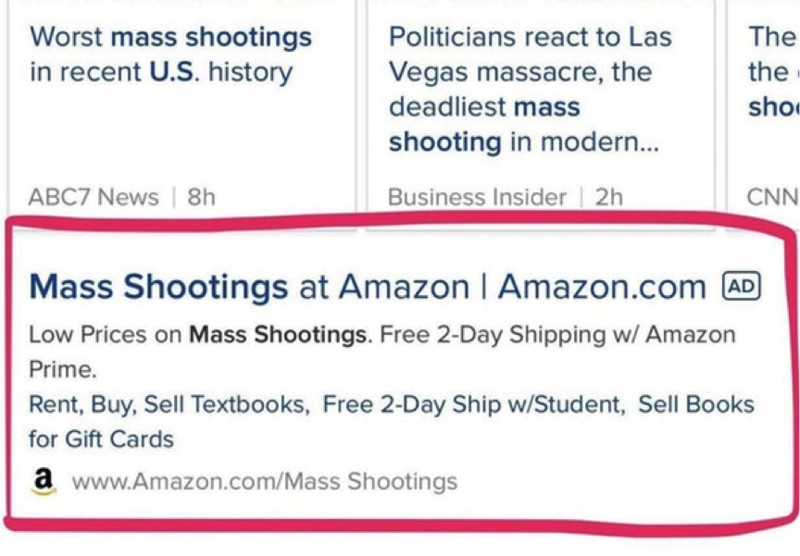 Just ask Amazon.